Speaking of Vinylmation figures, I recently won this very unique custom on eBay. 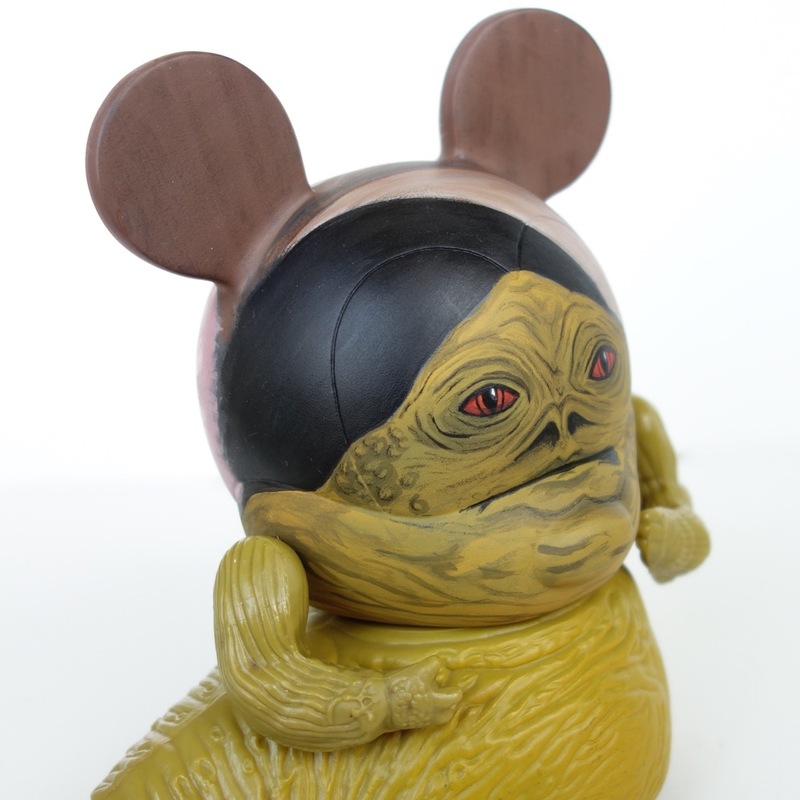 It was created using the head of a 9″ Vinylmation figure combined with the vintage Kenner Jabba the Hutt figure. On the front, the artist painted Jabba’s head so that’s more or less the same size as the original figure. On the back is a painting of Jabba’s Palace. 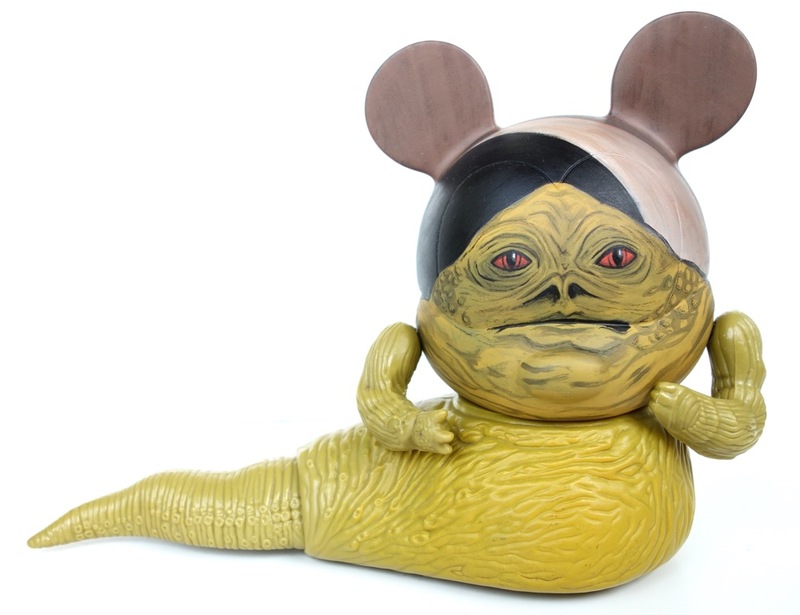 Interestingly, Mickey’s nose forms a nice chin for Jabba. It’s a bit of an odd piece, but I like it.